In Baseball America’s first mock draft the Pittsburgh Pirates were projected to take Colin Moran and Sean Manaea. Today Jim Callis released his second mock draft at BA, and has two different names. With the number nine pick, Callis has the Pirates taking prep catcher Reese McGuire. Moran was the previous pick, but went fifth overall this time around. Callis notes that the best case for the Pirates would be landing McGuire and D.J. Peterson. Peterson ended up going 13th overall, one shy of the Pirates next pick. Another guy Callis has the Pirates passing on is Austin Meadows, who went tenth overall. He notes that Trey Ball would be a possibility, although Ball went one pick before the Pirates. With the number 14 pick the Pirates are projected to take Hunter Renfroe. Callis has the Pirates leaning with a college bat here, noting that the Pirates will take Peterson if he’s there. He also lists Notre Dame third baseman Eric Jagielo, Samford outfielder Phillip Ervin, Stanford outfielder Austin Wilson, or Fresno State outfielder Aaron Judge. With the exception of Peterson, all of the other guys are projected in the 19-27 range, with the Cardinals getting two of those players. 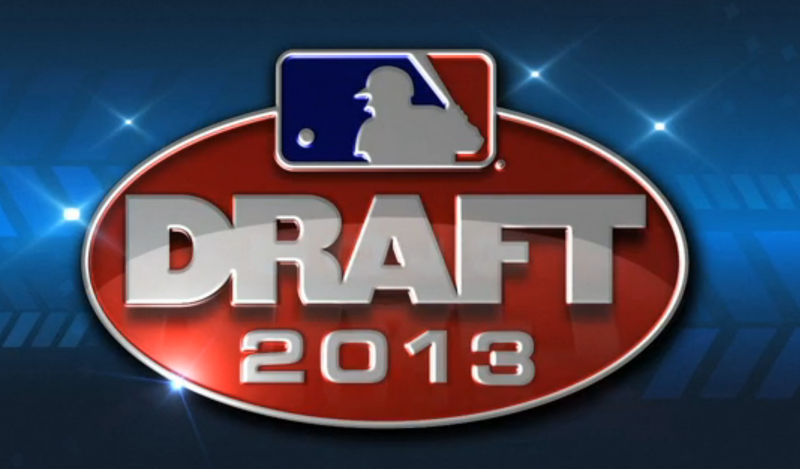 I know that the mlb draft is mainly predicated on drafting bpa/talent over need. But don’t the bucs have to at least consider JP Crawford at 9? There may be stronger bats available like Meadows maybe Mcguire too (Don’t think Frazier falls past Boston) Outside of Hanson, there aren’t many shortstops in our system that we can consider legitimate prospects. Crawford is the consensus top SS available. It is difficult to project high school SS’s but scouting reports indicate he has a great chance to stick at short. I realize there drafting Meadows would give us an impressive trio of blue chip OF prospects along with Polanco and Bell. Mcguire would give us good catcher depth along with Sanchez and Mathieson. Crawford would add a bit more balance position wise among our prospects. I would be pleased with Meadows, Mcguire, or Ball too at 9. The fact that we own two picks in the top 15 allows this particular thought process and if the bucs choose Crawford at 9 they can go with an advanced college bat or arm at 14 with guys like Renfroe, Peterson, or Alex Gonzalez. This scenario is unlikely to occur, just food for thought. You can not pass on MEADOWS!!!!!!!! And catcher is not as enormous of a need as you think. Tony Sanchez has come around and he just turned 25! Hitting over .300 with a little bit of pop almost 1.000 OPS, which is crazy good for a CATCHER, granted it is in AAA. Finally the Fort can be gone and Martin and Sanchez you can move forward with. No matter who falls into our lap at No.9 and 14 will help making our farm system even better than it already is, no matter if we get one or two college bats, two college pitchers or even a highschool bat (or a mixture). With all those names bandied about I feel the Pirates can’t really go wrong in the first round this year, I can’t see us messing this up here. We have options if certain players we like are off the board when we get to pick. My suggestion would be NOT to for another catcher as I think we are pretty much covered in that area throughout our farm system already. You are spot on with the Pirates have loads of options to pick. It is a very deep class with several players who are on par or close to on par with one another. I would probably shy away from high school pitching unless Ball or Stewart fall into our laps at #9 and #14 respectively. If Moran isn’t around at #9, I’d be all for grabbing a pitcher at that spot and a high school hitter like Smith at #14. I don’t know if I agree with you on the catching thing. The attrition rate for catchers is high and outside of Tony Sanchez, none of the catchers have performed all that well this season. In addition, the top two catchers in the draft, McGuire and Denney, may not necessarily stay behind the plate as their bats could both play at corner OF and 3B. Would they have the defensive skills for those positions, no idea, but I wouldn’t overlook drafting either of them. I still think we have plenty of young catchers in the organization, admittedly with some of them it’ll be a gamble to see if they can stick as catchers, but I understand our depth there, even behind Sanchez, is okay. I’d like to see an emphasis on good solid hitting prospects coming in, regardless of position. You can never have enough pitching and all that, but our pitching depth in the minors is very deep at this point, hitting should be our priority here. It is nice to predict, but it all depends on who falls to the Pirates, If Frazier falls to them everything changes.